South Seattle College recently completed the construction of their second LEED building (the first LEED building for South Seattle was the Gene Colin C expansion project completed in 2012 at the Georgetown campus). Leadership in Energy and Environmental Design (LEED) is “the most widely used green building rating system in the world” for building design, new and major construction, and operations and maintenance. LEED is the primary program of the U.S. Green Building Council. 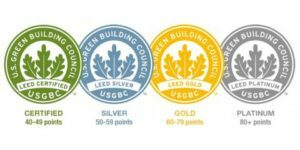 For new construction, buildings can earn LEED Certified, LEED Silver, LEED Gold, or LEED Platinum. 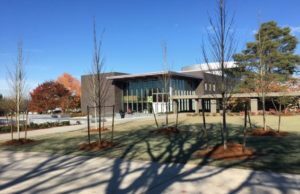 South Seattle College is proud of this accomplishment—joining a group of building owners, managers and project teams that are demonstrating leadership, innovation, environmental stewardship, and social responsibility through LEED Certification. LEED buildings have a track record of lower operating costs, increased asset values, reduced waste, energy, water, and materials use, and better indoor environments.